Trade analyst Ramesh Bala tweeted that Vivegam has crossed the Rs 9 crore mark in the Chennai box office, becoming the first movie to earn such a whopping amount so fast. Ajith Kumar-starrer Vivegam, which released on August 24, had opened to a phenomenal response from his Tamil fans. The movie continues to enjoy an overwhelming response on its second week. 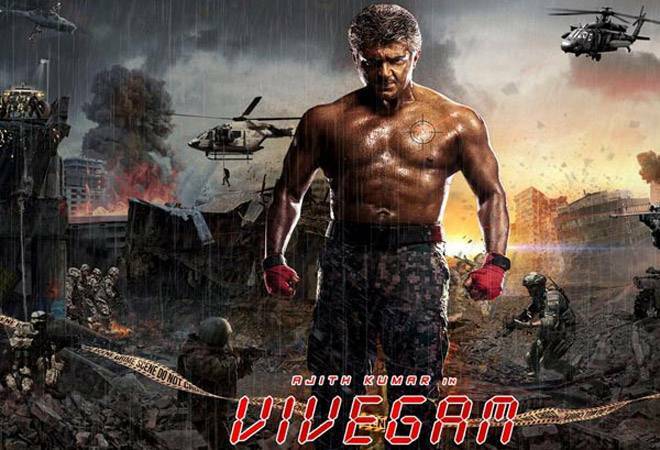 Trade analyst Ramesh Bala tweeted that Vivegam has crossed the Rs 9 crore mark in the Chennai box office, becoming the first movie to earn such a whopping amount so fast. Fans have hailed Vivegam for its thrilling story line and action sequences. It's a spy thriller and Ajith has been praised for his performance. Despite mixed reviews from the film critics, Ajith's first movie in nearly two years has managed to earn Rs 136 crore worldwide until September 4. The film has minted Rs 92 crores in India and Rs 44 crore overseas. The movie has already surpassed SS Rajamouli's Baahubali- The Beginning's second-week collection that closed at Rs 8.25 crore, after bringing in Rs 9.05 crore. Directed by Sivakumar Jayakumar, Vivegam revolves around the story of an Interpol officer and his life events, played by Ajith Kumar. Kajal Aggarwal is the female lead. The movie also stars Akshara Hassan and Vivek Oberoi in pivotal roles. With Vivegam, Vivek Oberoi marks his debut in the Tamil film industry.